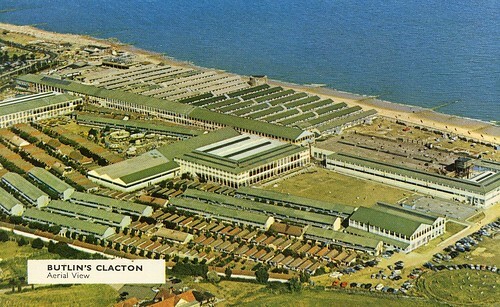 Large, seaside holiday camps became very popular in Britain during the 1950s as families on low incomes were eager to escape the drabness of grey cities. For a reasonable price, thousands of guests ('campers') would stay in small, prefabricated buildings called chalets and would be served three meals a day in the canteen. 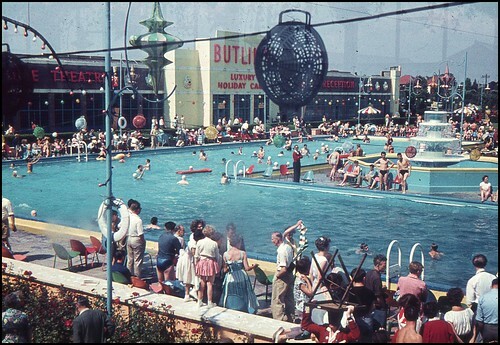 There would be lots of entertainment facitlies on the site, such as: a funfair, a swimming pool, a ballroom, a bowling alley and tennis courts. Many holidaymakers also liked to take part in activities like 'Knobbly Knees' competitions and 'Glamorous Grannies' pageants. 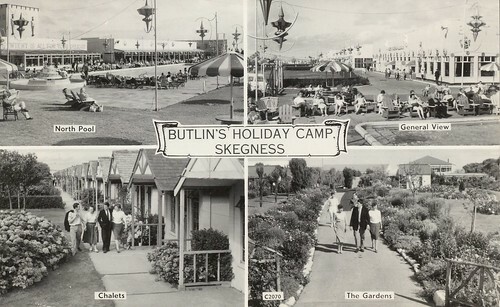 At Butlin's camps, 'redcoats' helped to provide evening shows and ran clubs for the children. Some camps had been taken over by the military during World War II to use as training barracks for soldiers so: communal bathrooms, wire fences and loudspeaker announcements throughout the daytime were still common. The British public loved the idea of organised fun, having had their lives restricted so much during the war.